Staff Correspondent: A Revised Annual Development Programme (RADP) of Tk 1,65,000 crore was approved for the fiscal year 2018-19 on Tuesday. Besides, revised ADP of autonomous organization or corporation involving Tk 9,620 crore was approved. 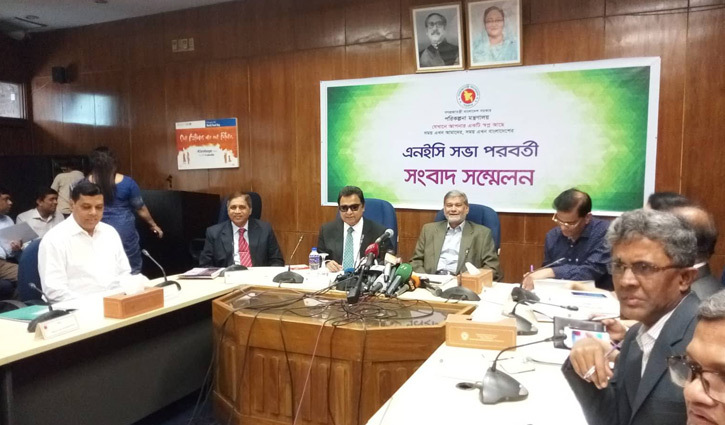 The approval was given at the meeting of National Economic Council (NEC) in the capital's Sher-e-Bangla Nagar with NEC Chairperson and Prime Minister Sheikh Hasina in the chair. Planning Minister MA Mannan briefed reporters after the meeting.